I first tried As I Am a few years ago, when I picked it the Coconut Cowash at a natural hair product exchange. My curls loved the product. There was enough slip to detangle in the bath, and moisturizing enough to make my curls ping. Since then, I’ve tried other products from the original range and loved them all. I should have reviewed those ages ago. Then a couple weeks ago, I received a goodie bag at brownbeatutytalk’s Natural Hair Masterclass. It contained As I Am’s Growash from their Long and Luxe range. In a rush, I tried it last week… where do I begin … it was AMAZING! My curls are having a love affair with As I Am Growash. As I Am products were created as a response to naturalistas request for products that suited their naturally coily and curly hair textures. Dr Ali N. Syed, a hair care chemist and entrepreneur, was often asked, “What products do you have for my hair?”; “What, from your product lines, should I use…could I use… to style and care for it?” He rose to the challenge to solve the dilemma. The original range consists of 11 products specifically for tightly coiled and curly hair. It’s made with lush ingredients like shea butter, cocoa seed butter, coconut oil and castor seed oil, all of which works wonders on black hair. Firstly, based on my previous experience with As I Am, I was hyped to try Long and Luxe Growash. 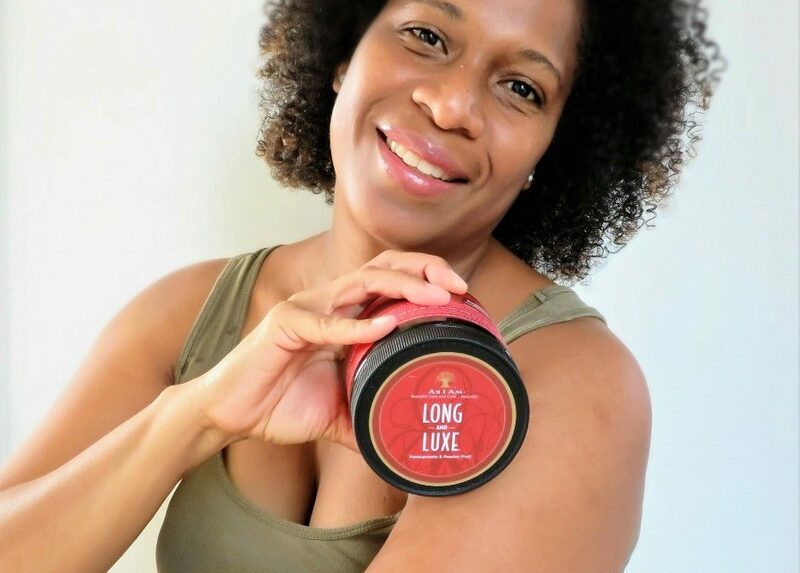 Long and Luxe is infused with Pomegranate & Passion Fruit. It was created for 3-4 air types. Passion Fruit is said to be good for cleansing the scalp and strength hair roots. While Pomegranate is said to strength hair follicles and promote hair growth, these ingredients are what’s need to promote healthy hair growth. I used Growash twice. It’s blown my mind. The fragrance is gorgeous; it’s like sunshine and fruits on a tropical island. Then there’s the texture… creamy and luxurious. When I slathered the product onto my hair, I could feel my hair being conditioned almost immediately. The slip enabled me to detangle easily. 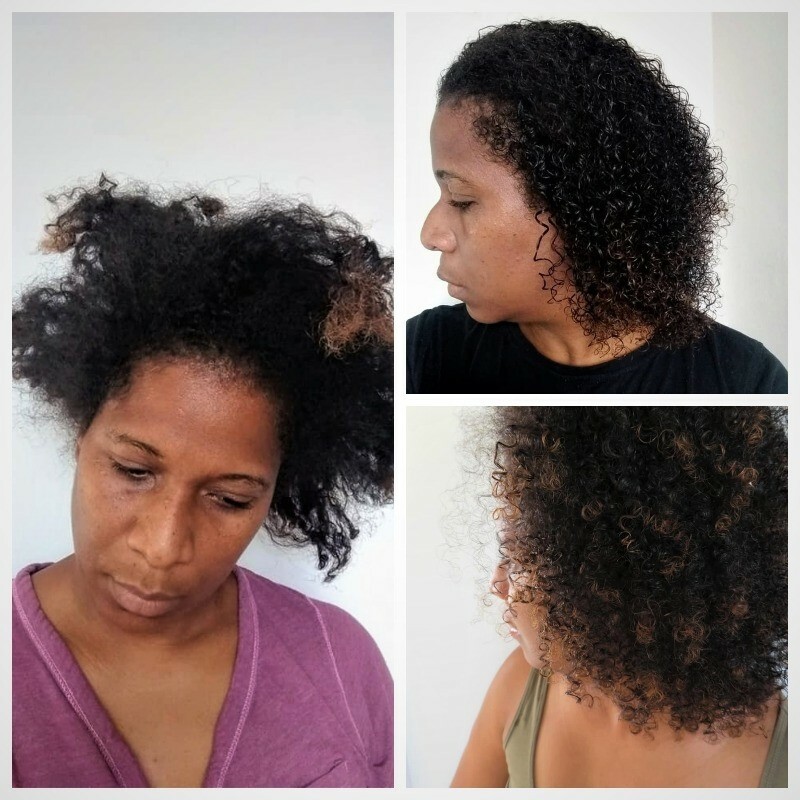 After the product was rinsed out, my hair felt clean, conditioned and elasticized. I towel dried, then applied the leave-in-condition from the original range and finished off with a light oil spray before drying my hair with a diffuser. For the second trial, after cleansing with Growash, I used KeraCare’s leave-in-conditioner (also created by Dr. Syed). Finally, I applied the oil spray before drying. If you have been following my natural hair journey would know that I crave volume. Well, Long and Luxe gave me big hair with pillow soft defined curls and shine. My washngoes have been successful. I can’t stop touching my hair it feels so good and the curls reflect light in the most beautiful way. I promised my daughter that I’d grow out my TWA. So far so, good but now that autumn is here I need give my tresses more TLC. As I AM’s Long and Luxe is the range for me. FYI there is a range for kids as well Born Curly Shea. As I AM’s Long and Luxe is fantastic naturalistas curly crowns. It has ingredients foster the perfect balance of strength and elasticity in natural hair. I buzzed by the fact there’s a range that ticked all the boxes for me, in terms of fragrance, texture price and performance. For more information on the entire range visit the As I Am website the range is available at Paks and Beauty by Zara. I luv luv luv the product Sarah. I truly know the term ‘happy hair’ when I use it. It’s hard not to smile. I’m thrilled you love it too, Sarah.